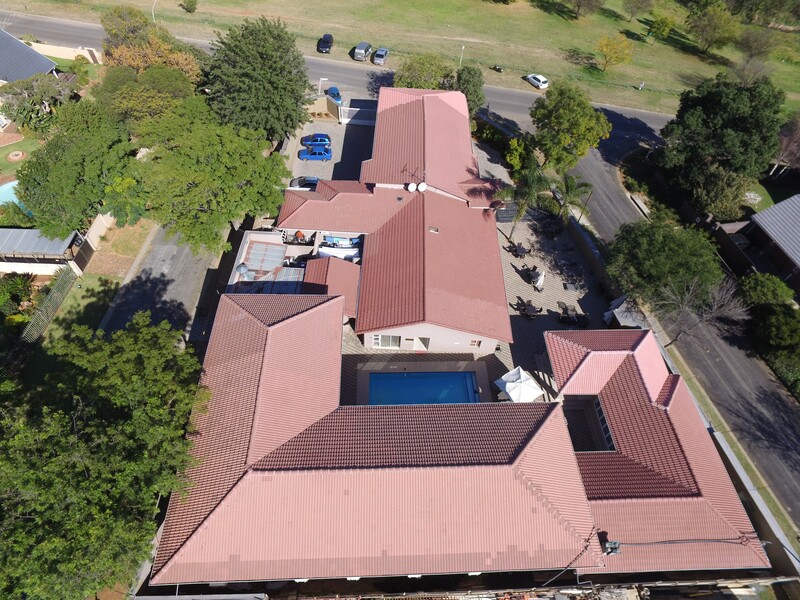 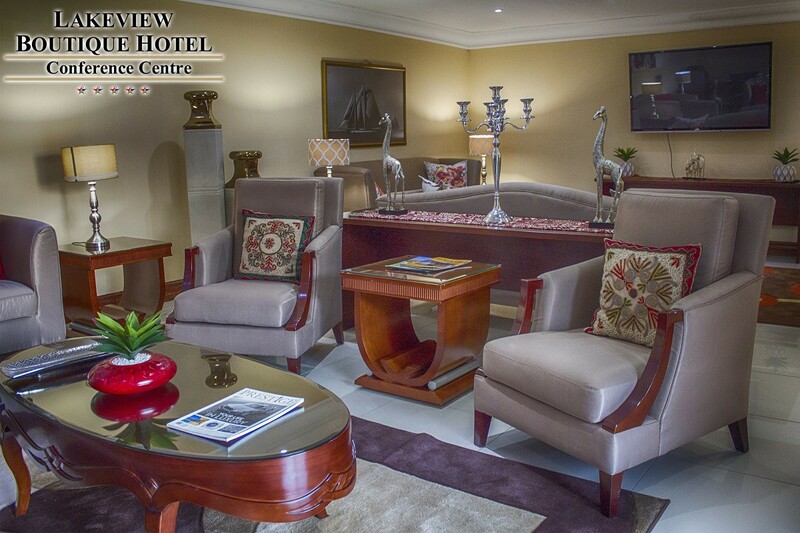 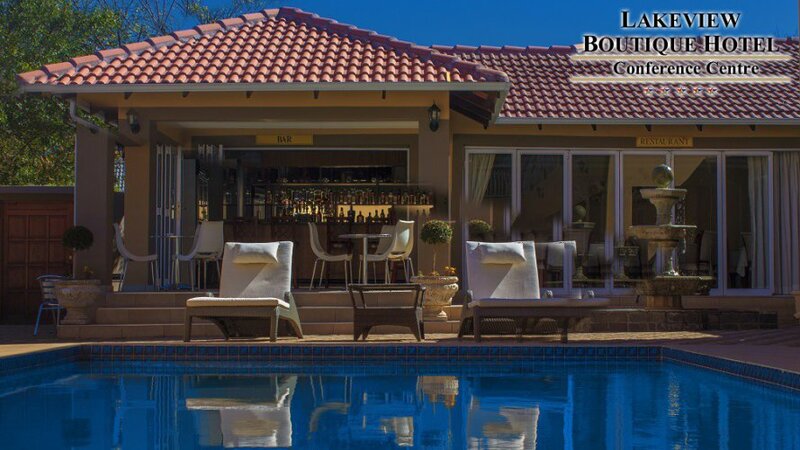 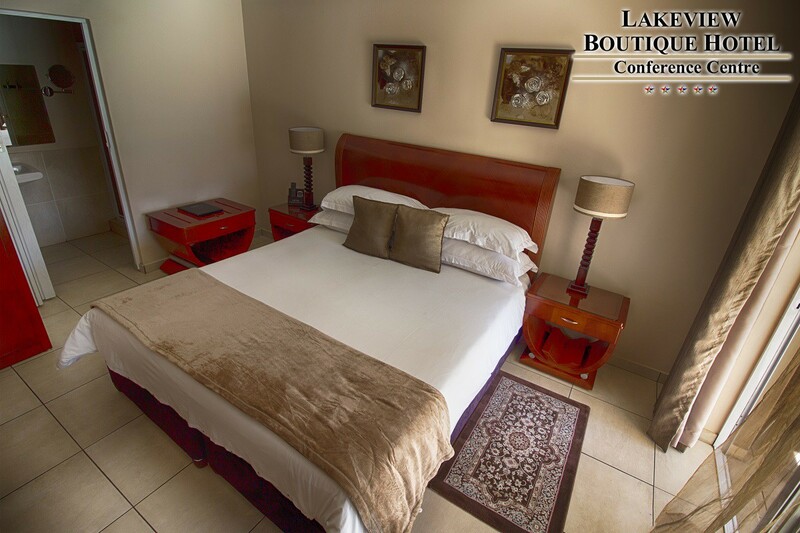 Lakeview Boutique Hotel & Conference Centre is a luxury, five-star Boutique hotel located in the heart of the leafy suburb of Farrarmere in Benoni, minutes away from OR Tambo International Airport. 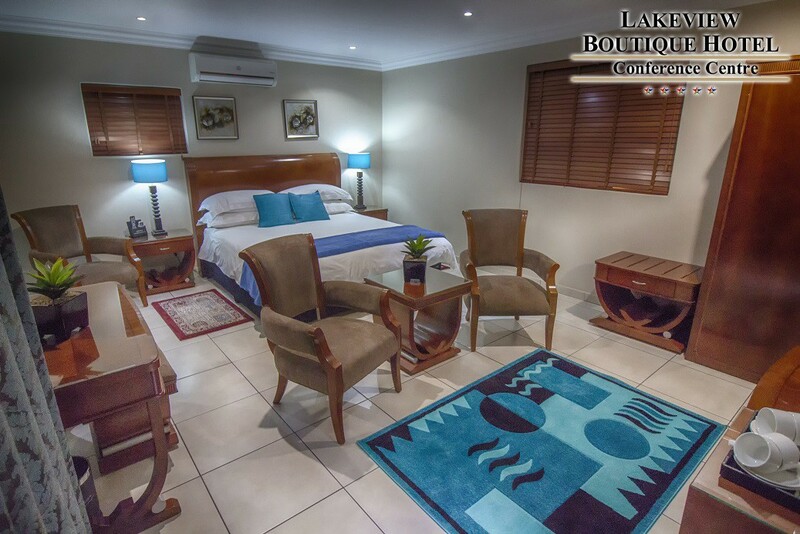 As the most unique five star, Boutique Hotel in Benoni, "Lakeview", is aptly named due to the panoramic vista it provides of the Homestead Lake. 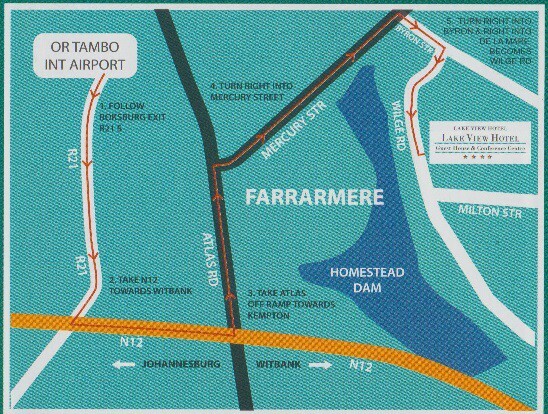 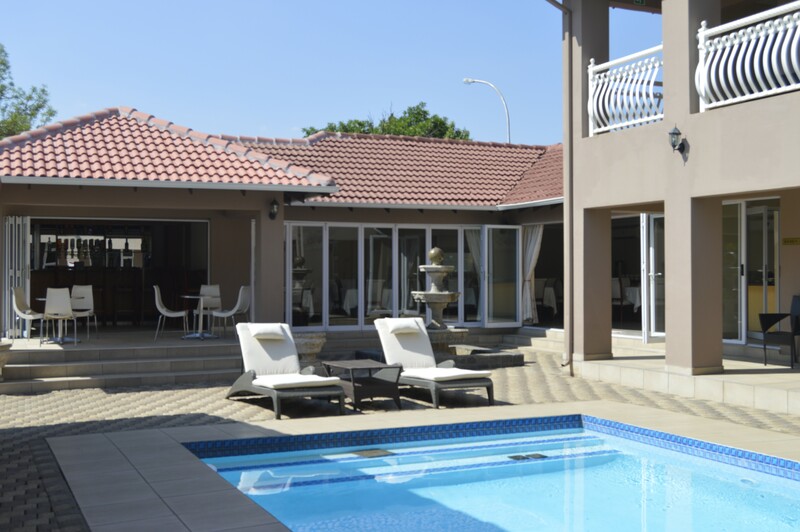 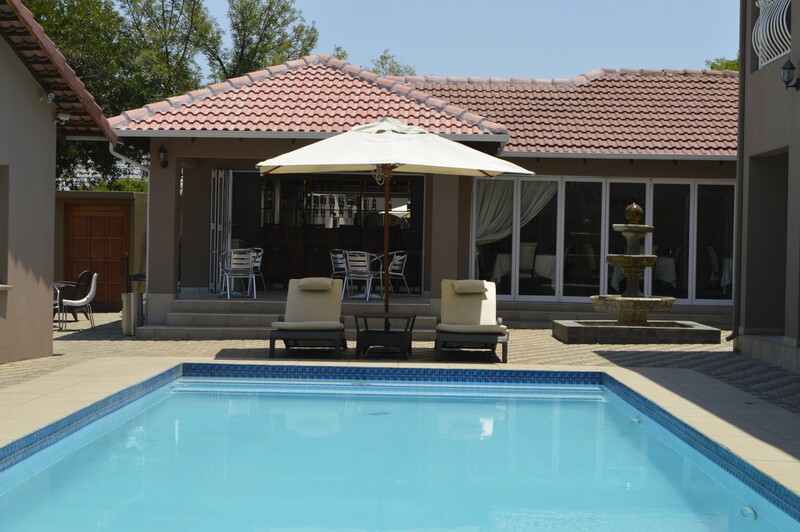 Its location provides a tranquil oasis amidst the bustle of greater East Rand. 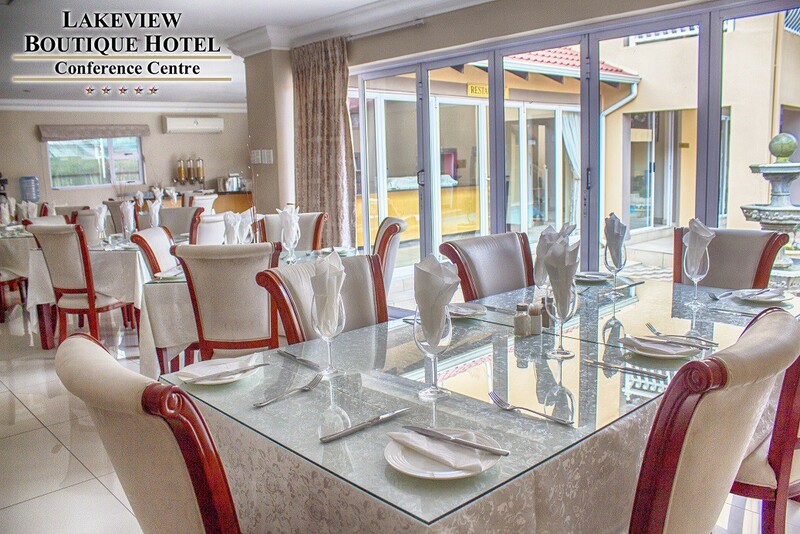 A gem to the core, by night “Lakeview” allows for fine, alfresco dining in its restaurant overlooking our sparkling pool with blue light reflecting the ambiance of the surroundings. 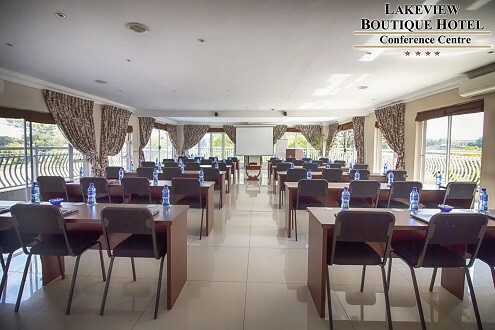 In the mornings, you can indulge in our buffet breakfast with hot and cold dishes - we can cater for all dietary requirements. 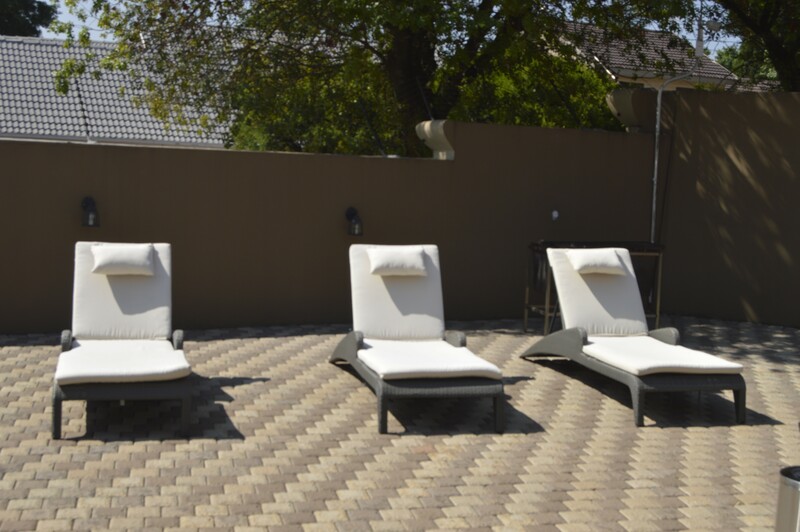 During the day, you can lounge at the pool or have gourmet light lunches and designer coffees from our bar and restaurant. 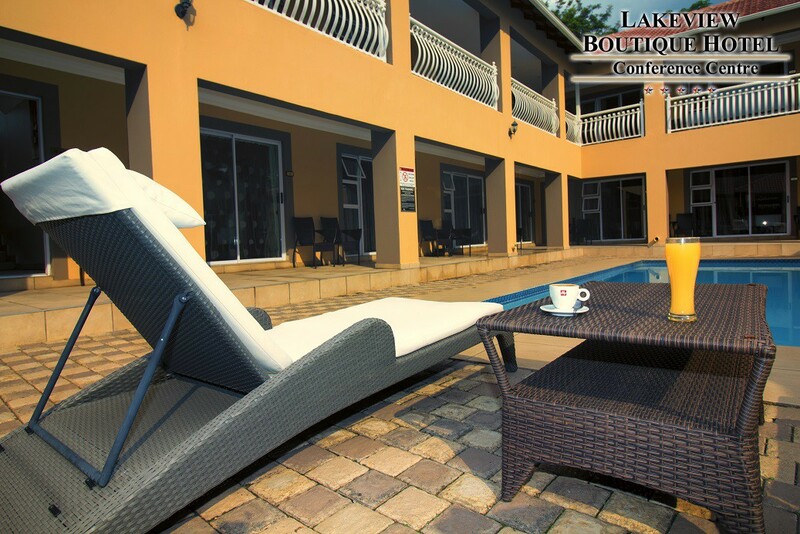 Additionally, guests to “Lakeview” can luxuriate in our extensive and immaculately groomed, private terraced patios and garden. 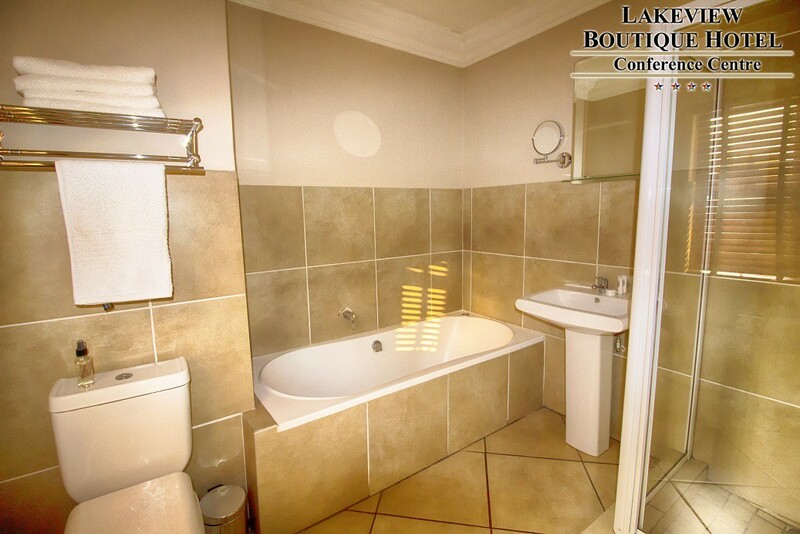 With soft lighting completing their beauty they come alive on summer nights. 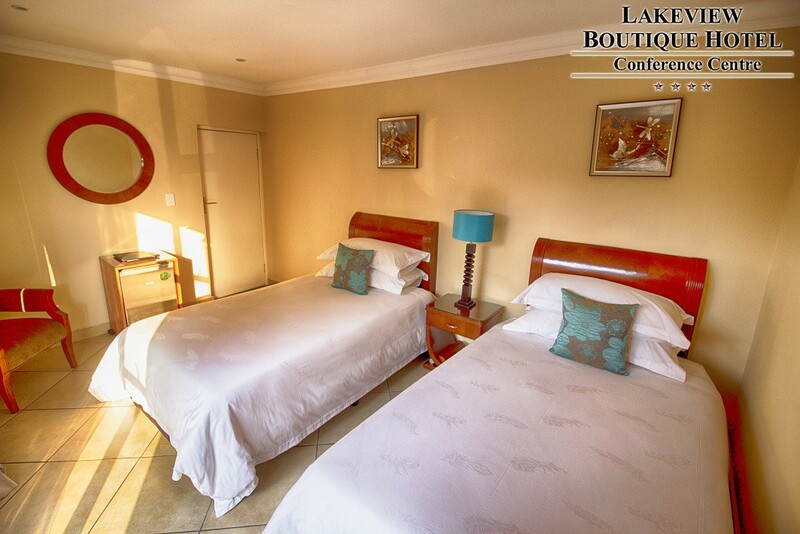 “Lakeview” offer luxurious accommodation with luxury linen and sitting area. 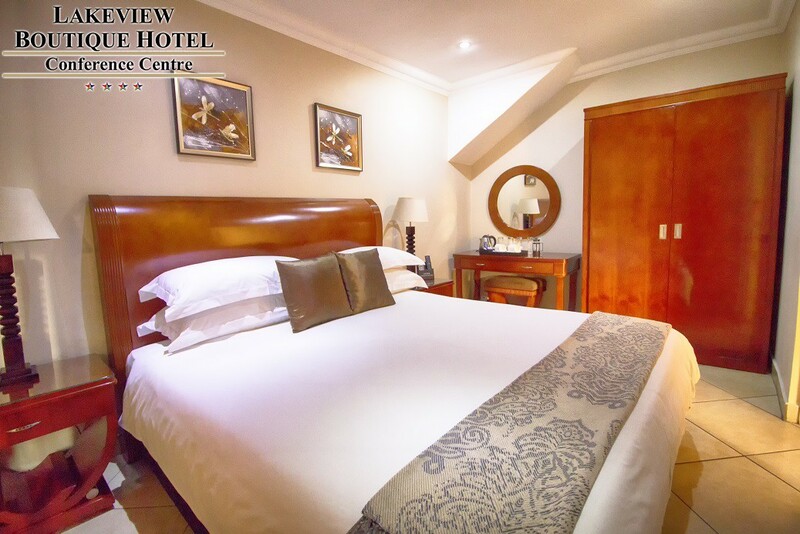 We feature all the necessary guest amenities and air-conditioning, fridges, satellite TV, Coffee station, hair dryer and free Wi-Fi in all the rooms and public areas.